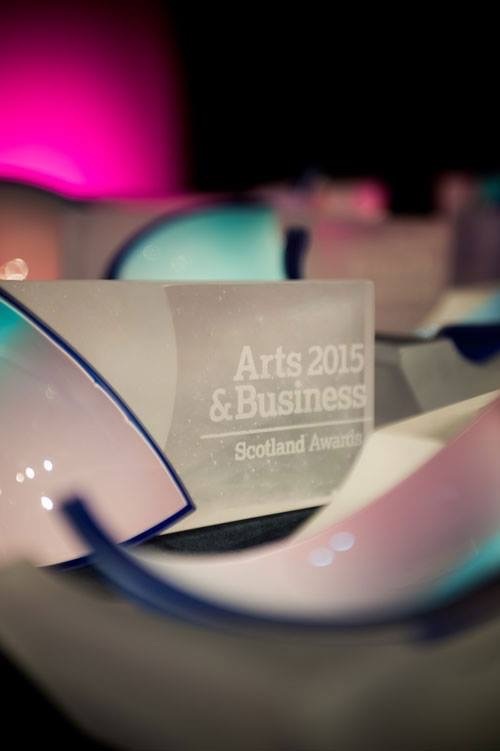 Arts and Business Scotland Award Object 2015. In collaboration with Alan Horsley. 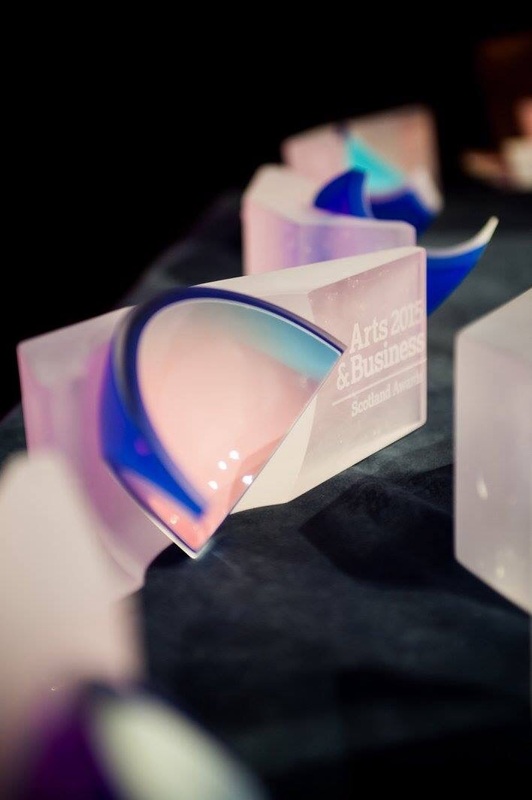 Designed and created in collaboration with glass artist Alan Horsley, these awards objects were commissioned for the Arts and Business Scotland Awards 2015. 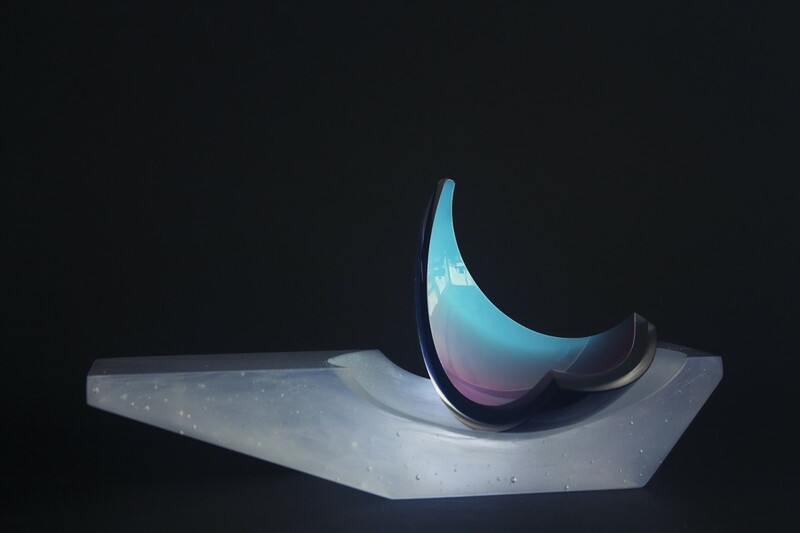 The pieces combine cast, ground, polished and laser-engraved bases with unique hand blown, cut and polished glass segments, utilising layers of overlaid colour, reflecting the awards’ theme of connectivity and collaboration. 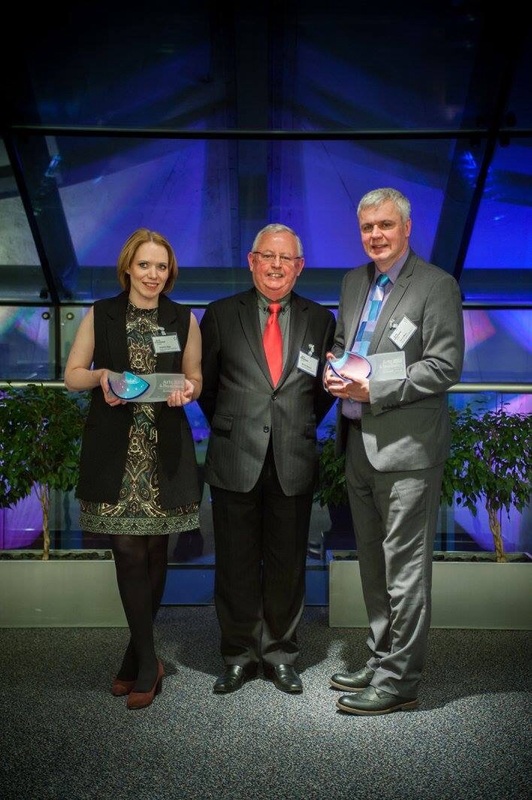 A video of the making process and a bit of the inspiration behind the awards can be seen here.